I saw the preview in the theaters for Life of Pi. It looked amazing. I read an amazing book, The Facts Behind the Helsinki Roccomatios, and the back cover said that it was the same author as Life of Pi. Then I started seeing it pop up on my news feed on Facebook. Ok. I HAD to read this one! Despite some poor reviews online, I ordered the book & dove right in. As always, I felt compelled to read the book before I watched the movie. I have learned that movies & novels are not always telling the same story…and I’m lazy so if I don’t read the book first, chances are I’ll find excuses to never get to it. And in this case, I am so glad I read the book first. While the novel & movie tell pretty much the same story, there are huge differences. There are just some things that can’t be portrayed on film, just as some things can’t be seen in print. The novel was phenomenal! While some people found the beginning slow & dry, I was enraptured by it. It sets the whole foundation & inner strength for the main character. While I myself am not a religious person, I found this teenagers’ grit, steadfastness, and faith as a true inspiration. Despite adversary, he could stay true to what truly mattered to him. Pi’s time at sea was long…227 days long. He should have died. The reader (or viewer) isn’t thrown for a loop or ever really fears for Pi’s demise because he’s the one telling the story, so we know he lives through it. 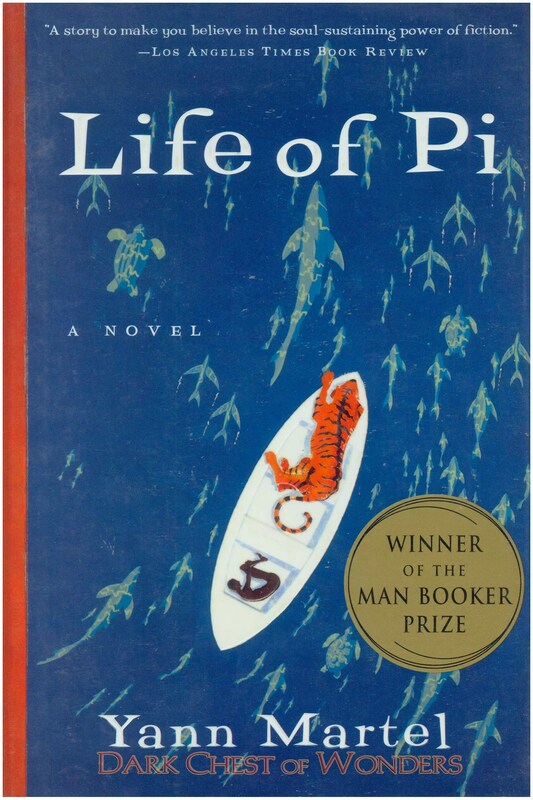 Both the novel & movie show how he makes it 227 days without being eaten by the tiger he shares his lifeboat with. Both show that he starves; that he cries; that he survives. Yet the stories just don’t compare. The movie brags with it’s cinematic talents that the book cannot. The movie illustrates the beauty and mysticism of the sea. The movie is just beautiful & enchanting. Everyone should see this movie. But the book…oh the book! The book shows the savagery, the mental anguish, the desperate cling to humanity that the movie just doesn’t touch. The book illustrates the intense parallels between reality and imagination…and then it gloriously blurs the lines. The book, once you’ve finished the last page, forces you to think back on everything you’ve just read. You spend the rest of the day thinking about it. You’re left in shock…horror…and awe. Everyone should read this book. Tell me, do you have a preference–book or movie?